Often people assume garage as an additional room of their house and so use the same technique and paints for the garage flooring which, they used for the rest of the house. However, that’s’ not a smart choice for your garage floor though. The basic difference between a garage and an house floor is the weight bearing capacity, as a vehicle is far heavier then you and your home appliance weight jointly. Moreover, a garage floor has to regularly deal with lubricants, gasoline and other vehicular oils as compared to home flooring. Therefore, garage floor coating or paint must contain qualities like durability, strength, coverage and above all beautiful appearance. Epoxy garage floor might be good? 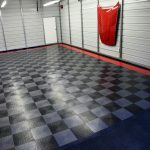 So what is the best flooring options for your garage? There are many options available for painting and adding long lasting beauty to your garage floor such as epoxy floor coating, latex and polyurethane paints. Each of them has its’ own quality and characteristics therefore, you should select a paint according to the type of your garage flooring ideas. 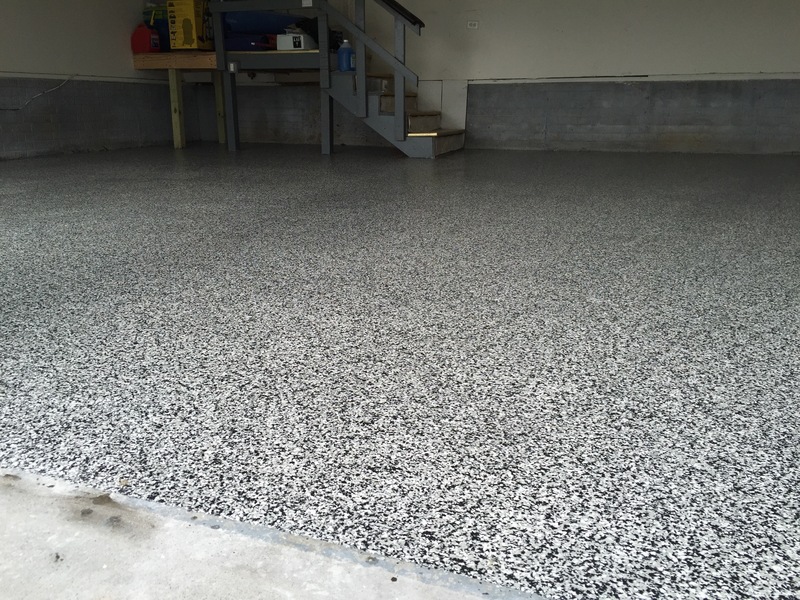 Although, there are many types of garage flooring options available today however, concrete flooring is a common and widely used garage flooring in all over the world. Considering these aspects, you may easily find best garage floor paint as per your requirements. Before we go further, we need to bear in mind that epoxy garage floor coating is not a paint. Garage floor paint such as latex acrylic product. Even though some paint contains a small percentage of epoxy to increase durability of the floor but it still the paint. This kind of paint was better known as epoxy paint or 1 part epoxy paints. Epoxy floor coating rapidly gaining popularity because of its characteristics. In epoxy flooring, the coating that was applied is an actual thermosetting resin. It is formed when you mix 1 part epoxide resin with 1 part polyamine hardener. The hardener acts as a catalyst and make epoxy superior in term of durability. 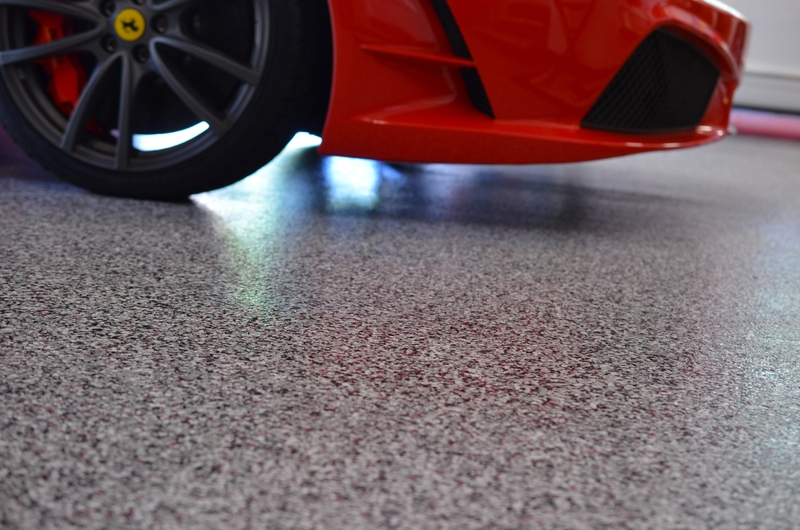 So, you might want to know why epoxy coating is the best options for your garage floor? We just list some of them here. Yes, of course epoxy garage floor coating look much better than traditional concrete. It’s provide a finished polish to an ordinary drab concrete floor. Beside that, they come with several color options make it easy for you to match the other part of your garage. According to flooring expert, epoxy floor coating is non-porous. 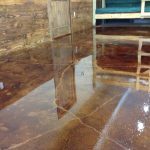 Its mean a garage floor coated with with epoxy is water resistant and less prone to staining compared to regular concrete. You will like this characteristic since it will protect your floor from the variances of weather changes. 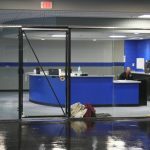 How to Clean and Maintain Epoxy Garage Floor Coatings – When comparing flooring options, its is crucial to know about the effort needed to take care of them. Of course, epoxy flooring is easier compared to concrete flooring. To remove a stain is much more easier with epoxy flooring due to it’s non-porous nature. Some tips on how to clean stained epoxy floors – use a bit of soap and warm water, a rag, and a little elbow grease to remove spills or stains from your epoxy garage floor. How durable is an epoxy floor? 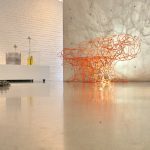 – If you need to ask more about the benefit of epoxy floor coating, you will like this statement. 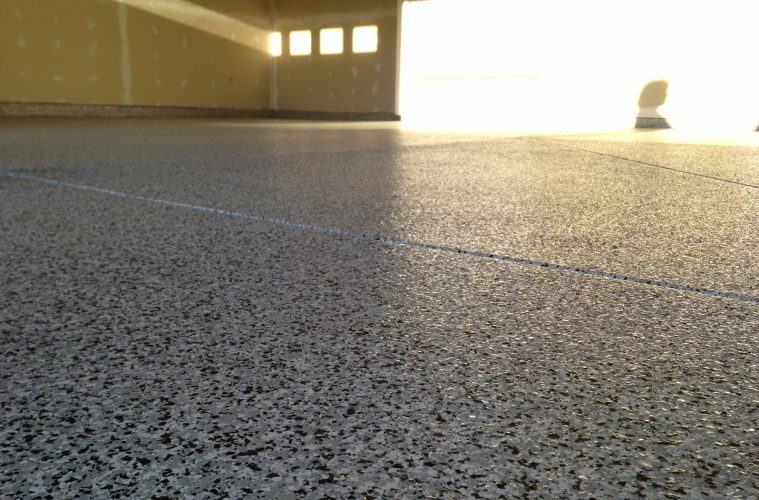 Epoxy garage floor are more durable than untreated concrete. As we said before, concrete garage floor coated with epoxy possess an extra layer of protection that strengthens the concrete. 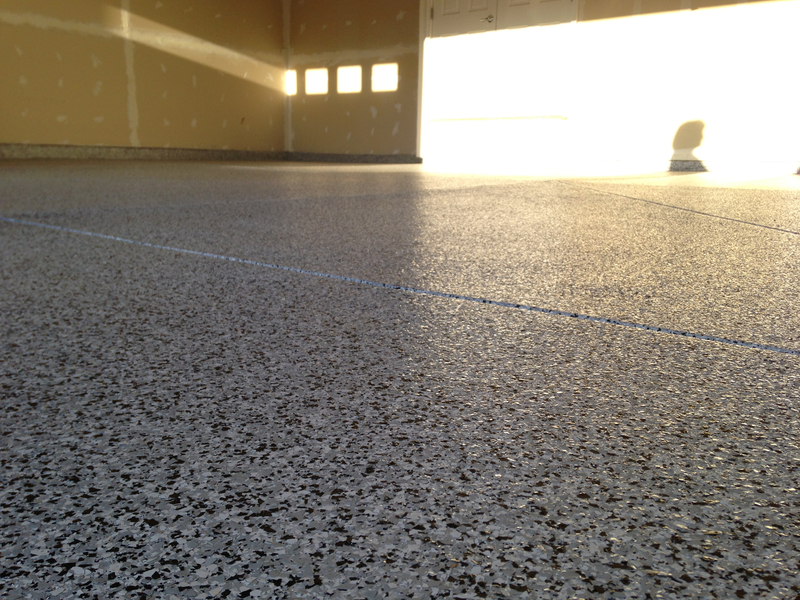 So, epoxy garage floors is better in resistance toward the wear and tear on your garage floor. Epoxy floor coating is an easy to prepare and easy to use. Apply it directly on your garage floor without undergoing lengthy initial preparations including primer coatings as compared to polyurethane paints. Moreover, it dries very quickly in comparison with latex paints that require more than 3 days to dry completely. How much does it cost to epoxy garage floor? 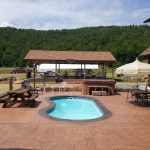 – What about epoxy garage floor cost? No need to be worried since, epoxy is an inexpensive flooring option for garages. 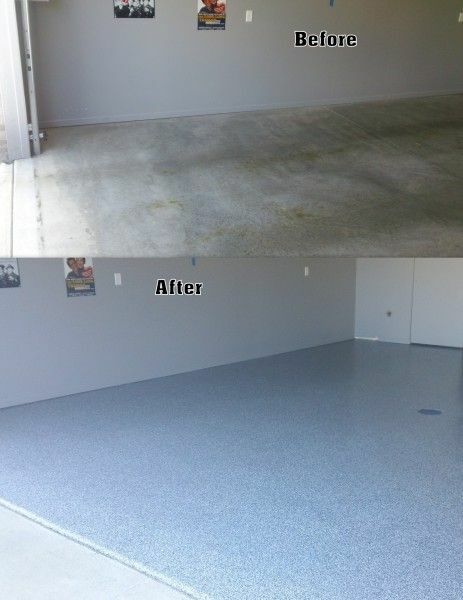 A professionally installed, garage floor epoxy coating usually start from $6 per square foot. 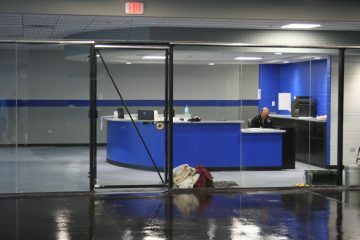 However, you need to ask your epoxy flooring contractors for further details. Just type the word “epoxy flooring contractors near me” on google and you will see so many out there for you. 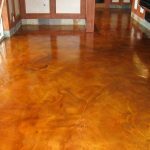 Whether you are using epoxy garage floor or any other paints over your garage floor, always remember to consider the above suggestions for a shiny, long lasting and beautiful garage floor.